Weight Loss diets have many eating restrictions, and has us feeling under pressure not to overconsume, and especially when it comes to high carb meals, or meals that are high in starch – which makes up for most of the meals we are presented with on a daily basis, making it very hard to avoid. White Kidney Bean extract may just be the perfect carb and starch blocker you need. It is for that reason that White Kidney Bean has earned the nickname “Starch blocker” or “Carb blocker”. White Kidney Bean Extract has shown to be a great digestive agent, in that it can reduce the carbs being processed into sugar and then fat. Instead, the body can get encouraged to use the carbs as Energy. It is therefore no surprise that this Bean has become one of the most popular Natural Weight loss Supplements, and is being recommended worldwide by some of the top nutritionists. 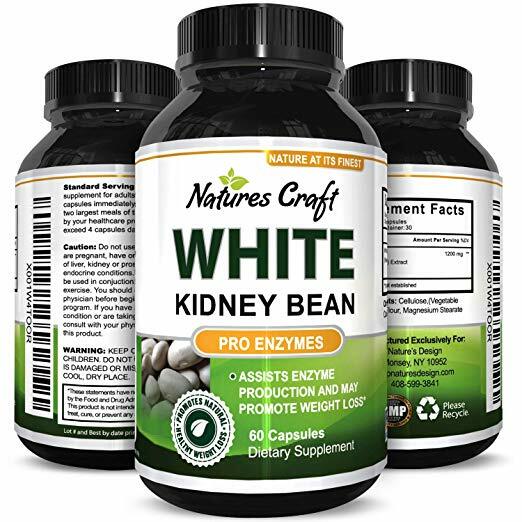 Our White Kidney Bean capsules are all Natural, and are filled with 100% pure White Kidney Bean (Phaseolus vulgaris) Extract. We value our customers and ensure quality. We guarantee 100% customer satisfaction, or your money back.